Brian Hagedorn held a news conference Wednesday morning in Pewaukee to talk about his nearly 6,000-vote lead over opponent Lisa Neubauer. Her campaign has already started fundraising for a possible recount. Hagedorn says he believes his lead is insurmountable. He says many voters didn’t believe Neubauer’s attacks on his past conservative writings, which he called misleading and inaccurate. Hagedorn says some voters may have viewed those as attacks on people of faith. 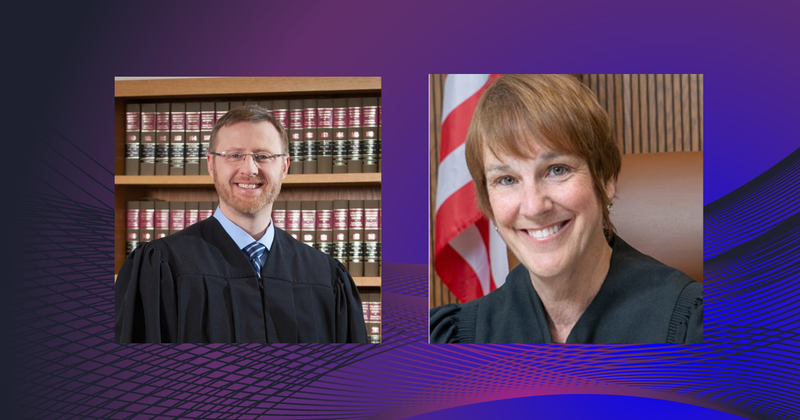 The Wisconsin Supreme Court race could go to a recount, with the conservative candidate holding a narrow lead over his-liberal backed opponent following Tuesday’s election. Neubauer’s campaign has started fundraising for a possible recount. Wisconsin Supreme Court candidate Brian Hagedorn is declaring victory, even though his opponent says the race is almost certainly headed toward a recount. Hagedorn issued a statement early Wednesday morning saying his margin of victory in Tuesday’s election is “insurmountable.” With 99% of precincts reporting, Hagedorn had a 5,911-vote lead out of 1.2 million cast. That is about half a percentage point over Lisa Neubauer, within the 1 percentage point margin that allows for her to request a recount. However, she would have to pay for it. Hagedorn was backed by conservatives and a victory would increase their majority control of the court to 5-2. Neubauer had liberal backing, including support from former Democratic U.S. Attorney General Eric Holder. After more than 1.2 million votes, Wisconsin’s Supreme Court race is still up in the air. Tuesday’s election between conservative Brian Hagedorn and liberal-backed Lisa Neubauer was too close to call at night’s end, with Hagedorn clinging to a 1,600-vote margin with 99% of the unofficial vote tallied. That was far below the 1-point margin that allows the trailing candidate to request a recount — and even below the quarter-point margin in which the state pays for it. Neubauer spokesman Tyler Hendricks said the campaign almost certainly would go to a recount. Neubauer outraised Hagedorn by significant margins and got strong outside help as liberals hoped to position themselves for a court takeover next year. That’s now in doubt. Hagedorn also contended with attacks over conservative writings from his past.